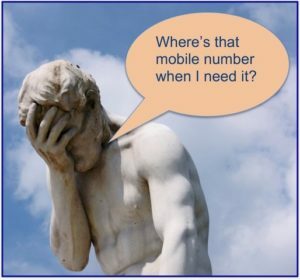 When a Mobile Number Can Make or Break a Claim - Credit Mediators Inc.
One of my passions is sharing some of our collection stories with our readers as a way of imparting advice or knowledge that I feel can be of help. This story goes back a year or so when we received a claim from a new client against a customer with whom they had only been doing business for a short time. The creditor had initially received a few small orders that were paid by cash in advance. Subsequently, a larger order came in with a request to purchase on credit. After performing a fair amount of credit due diligence that was commensurate with the size of the order, the creditor manufactured, shipped, and invoiced the product on time, giving the customer thirty days to pay. A few days after the invoice was due, the creditor sent out a statement requesting payment. As payment was still not forthcoming within the next two weeks, the A/R manager called the company to speak with the A/P person in charge, who promised to send the check at the end of the month. When the end of the month came and went without receiving payment, the A/R manager called again and was told this time that the president was in the hospital. As he was the only one who could sign the checks, they would have to wait until he was back at work, most likely by the end of the month. If the president does not return by the end of the month, is someone else there who can handle the payment of bills while he’s away? How are other invoices and payments, such as the rent, salary, and utilities being paid if he’s not able to sign checks? But the A/R manager hesitated to push the issue giving the debtor the benefit of the doubt, especially as the delay appeared to be based on a health issue. At the end of the month, the A/R manager called to the debtor again but could only leave a message with the A/P person in charge. During the next month the only collection effort that the creditor was able to do amounted to “one way” communication by leaving voice messages and sending emails requesting payment to all parties involved in the transaction. Regretfully, the debtor’s silence was very frustrating and after three months past the invoice due date, the claim was placed with our office for collection assistance. Perhaps the above scenario is something you have experienced. After a customer’s bankruptcy, probably the second worst thing that can happen to a creditor is when their calls and emails requesting payment are completely ignored. Only when the debtor gets on the phone or responds to emails do we have a chance to communicate with them as to the status of payment. As part of our normal operating procedure, every claim received is always checked against our system to see if in the past we had a claim against the same debtor. For this claim, lo and behold, this debtor was not only in our system from a couple of years earlier, but there was also a great deal of additional contact information, including the president’s mobile number. This had been provided to us with instructions to use it as a good contact number. In reviewing the previous claim, we could see that after some direct negotiation with the president, the claim was ultimately paid in full. Like many debtors, they needed the right kind of communication to persuade them to fulfill their payment obligation. We immediately called the president on his mobile phone and fortunately he answered. He had remembered our firm and after exchanging some pleasantries, we informed him of our client’s unpaid invoice. He responded that he was semi-retired down in Florida and that one of his daughters (the A/P person in charge) was handling all invoice payments. When we informed him that we were told the delay was due to a health issue, he seemed surprised. He said he would look into the matter and call us back shortly. I’m not sure what happened when the father called to his daughter, but I imagine he was not pleased that his retirement was interrupted by this non-payment issue. But more importantly, the point of this story is to request and try to receive the mobile telephone numbers of the individuals in charge at your customer’s company. Depending on the size of the company, being able to contact and speak with the person even at the top could make all the difference in getting paid.